We had a number of people from Operation 513 join us today, so we were able to space out and cover several locations. 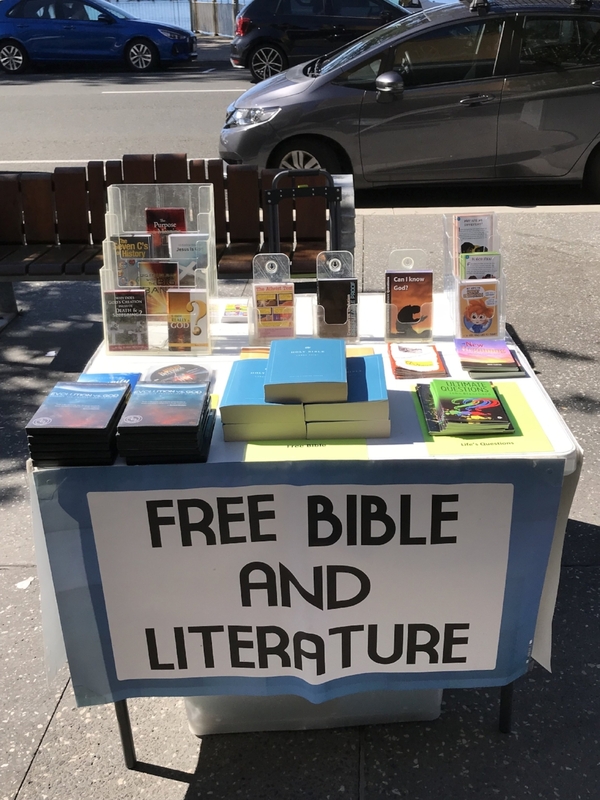 As we set up the Free Bible table, a worker form a shop nearby came out to ask if she could have a Bible in order to read to her children. She took tracts and some booklets also. This was an excellent start to the day and it was encouraging to know that a mother wanted to teach her children the Word of God. Mike using the flip-chart to witness to Jayden. 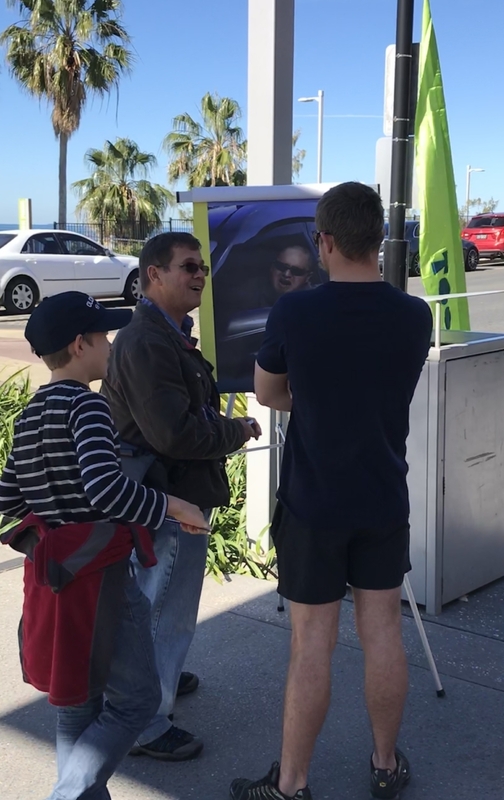 Short clip of Josh Williamson preaching in Redcliffe.